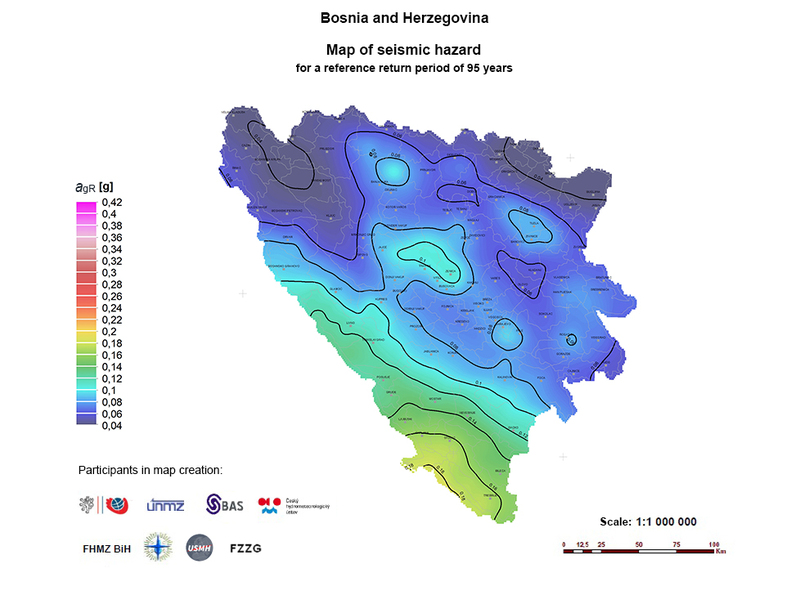 As an integral part of the National Annexes for the application of Eurocode 1, Parts 1-3, 1-4 and 1-5, it is necessary to develop snow load, wind and temperature maps, and for the application of Eurocode 8, part 1, the map of earthquake areas in Bosnia and Herzegovina. 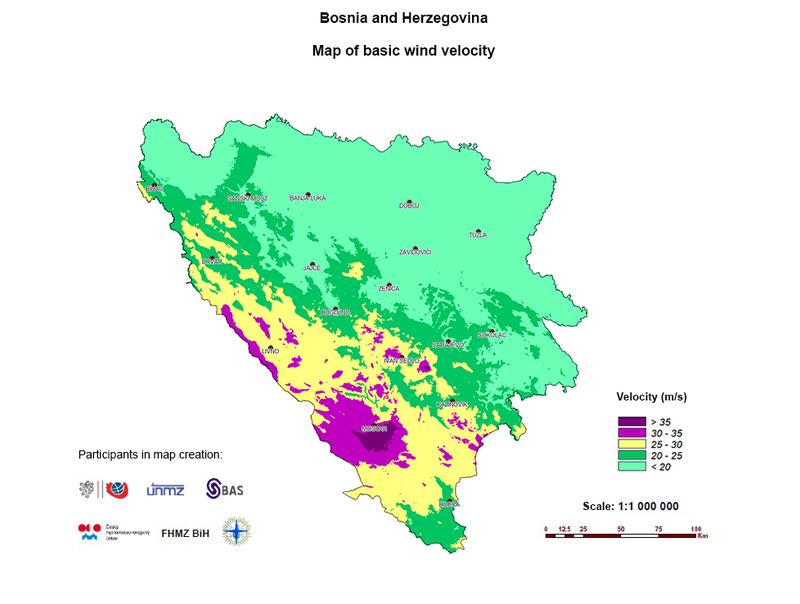 was financially assisted by the Czech Development Agency (Česká rozvojová agentura – ČRA), and the Czech Office for Standardization, Metrology and Testing (Úřad pro technickou normalizaci, metrologii a státní zkušebnictví – ÚNMZ) as part of the project “Support to the Institute for Standardization of Bosnia and Herzegovina in the field of application of Eurocodes”. 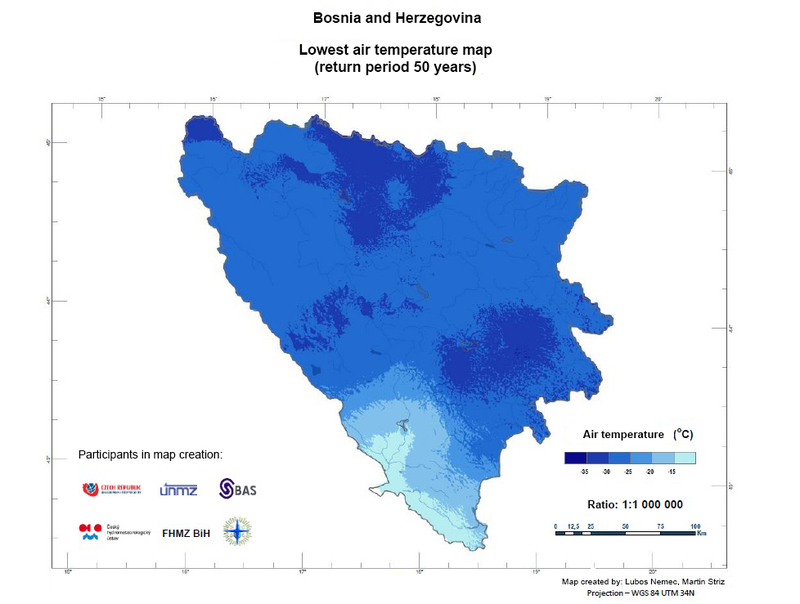 Only the highest and lowest air temperature map in Bosnia and Herzegovina is currently available. Note: To read the data required for the design, enter the coordinates of the object location or click on the interactive map for the location of the object (you can move or zoom the map). 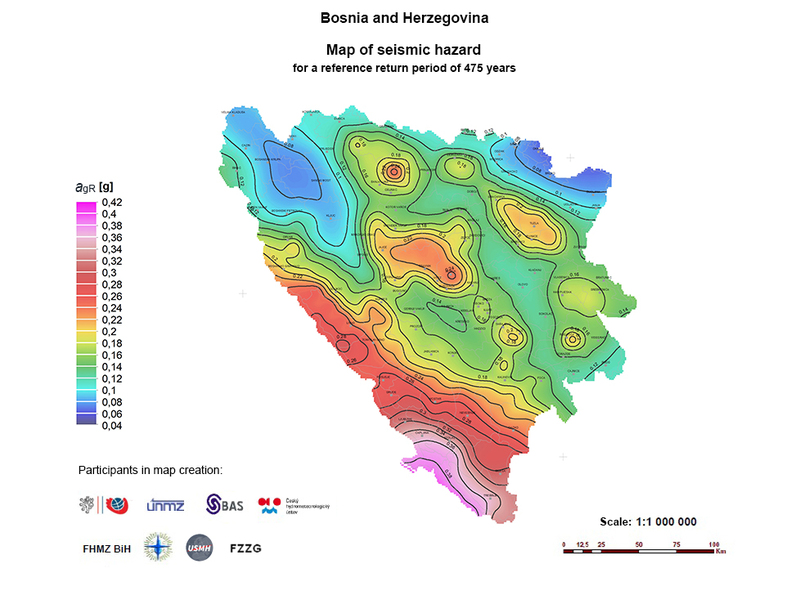 Given the great interest of the construction industry for the contents of the maps published in National Annexes, the review of the maps have been available for all stakeholders by the Institute for Standardization of Bosnia and Herzegovina. 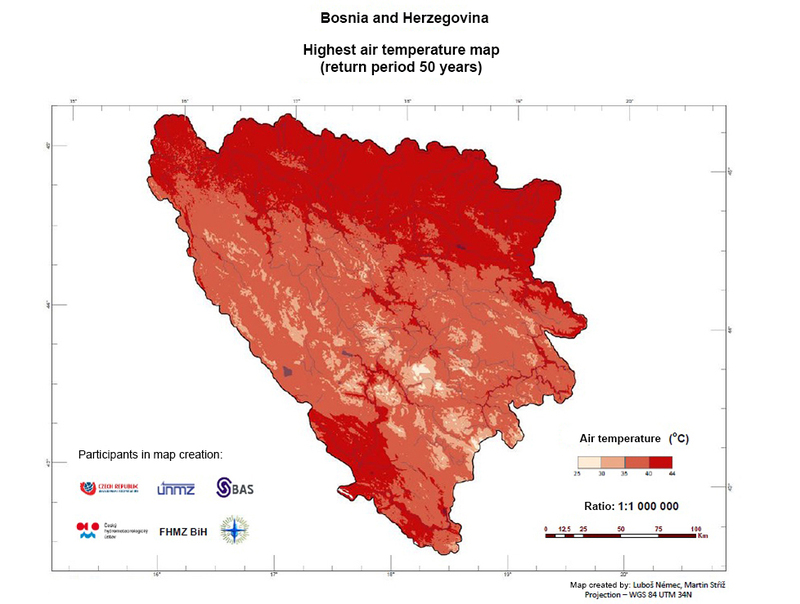 Institute for standardization of Bosnia and Herzegovina is as an independent state administrative organization which proposes the standardization strategy in Bosnia and Herzegovina , prepares and publishes standards of Bosnia and Herzegovina, represents and acts on behalf of Bosnia and Herzegovina in International, European and other organizations for standardization.